Rossie staff and young people show off their talents in two impressive Christmas shows, one being a fantastic rendition of Charles Dickens’ ‘Scrooge’. The Residential Campus kicked off the performances with a party-themed talent show, making use of our new Dance Studio. 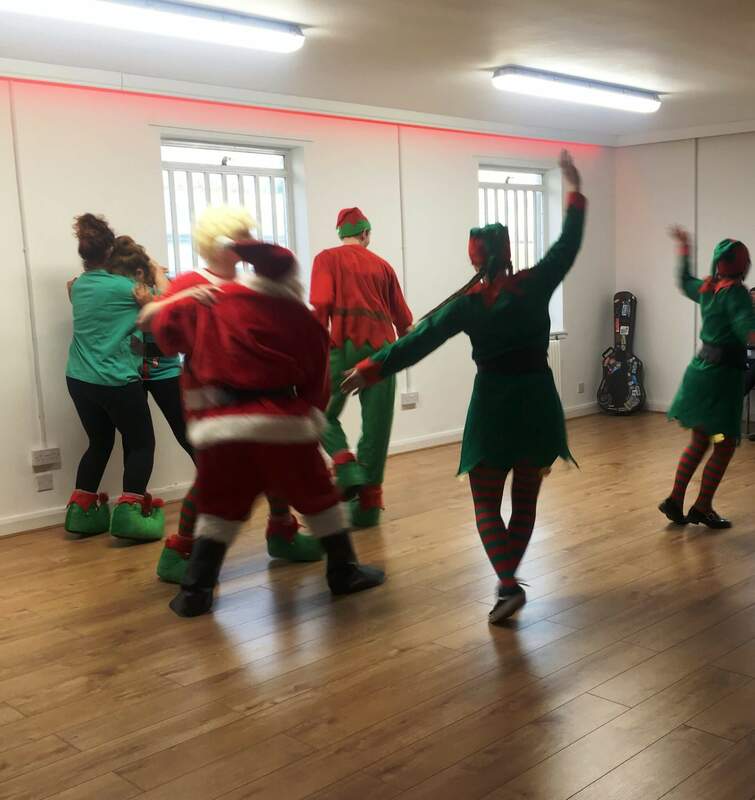 This was Rossie’s first Christmas celebration for the Residential Campus and was an opportunity for young people to showcase their talents. The show included group and solo performances by a mix of staff and young people with dancing, singing, drumming and guitar playing. The show was a hit, filled with laughter and audience members up on their feet to join the party! 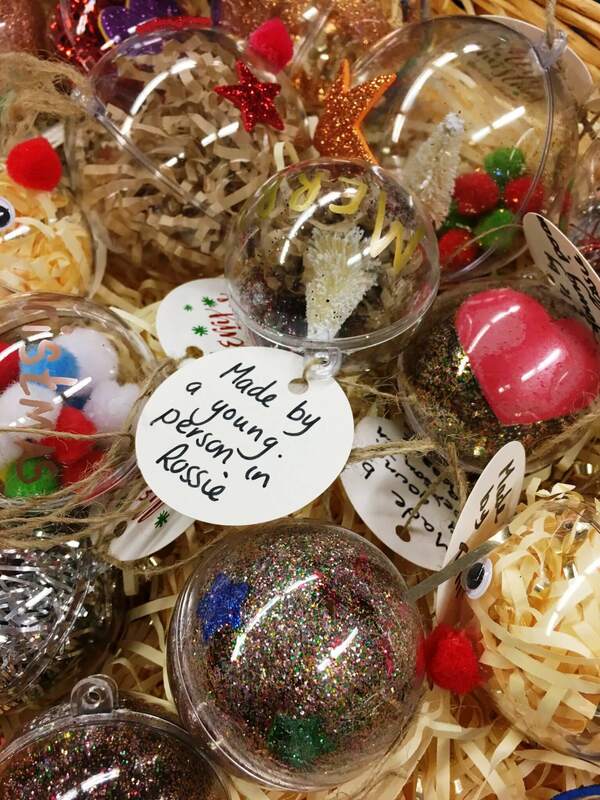 Before and after the show, staff and visitors were able to purchase festive art and craft items made by our young people – wooden reindeer, candle holders, plaques and fairy doors were among the selection and were all very popular! 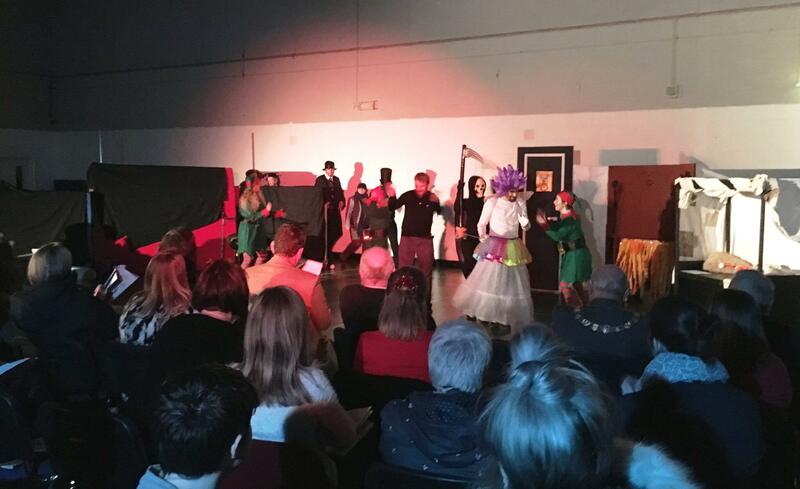 The Secure Campus performed Charles Dickens’ festive ‘A Christmas Carol’. The show was another success, with lighting and voice-overs and a set built and decorated by staff and young people. The performance was followed by a raffle and a buffet filled with festive treats, also made my staff and young people. “I really enjoyed the Christmas show. It was good fun practising and rehearsing the dances after and during school. I was excited on the day and I loved my costume, it was really cool! I did my make up myself and one of the teachers did my hair. The performance went really well and everyone enjoyed it! !” – Young Person. Awards were given at the end of both shows to celebrate our young people’s success in the midst of our Board of Governors, staff, family, friends and external visitors. The awards recognised achievements including completion of National Qualifications, attending and speaking in meetings, taking part in ‘From You For You With You’ sessions and interaction during intervention sessions. We were delighted to welcome visitors including parents, the Lord Provost of Angus, members of Scotland Excel and Angus Children’s Hearing Panel. One panel member said “I am always uplifted when I visit Rossie.” We greatly treasure and thank our visitors for their years of support. The young people brought a ‘feel-good’ factor to both events, some were dressed up in costumes; Santa, Mrs. Clause and the Elves! As this has been the Year of Young People, what a way to kick off the festive season! We already can’t wait for next year! Previous PostRossie glows in the dark with new UV Sports initiative!